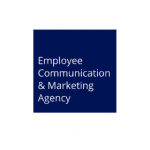 This client is an award-winning employee communication and full service marketing agency who specialise in marketing-led HR campaigns. Using their background in HR communication and marketing, their team of strategists and creatives deliver creative solutions for their clients who are large enterprises in many different industries. To deliver the best solutions for their clients, the agency uses well-structured project folders to maintain the assets and other client information for each of their projects. However, these files were sitting on an out-of-support server in their offices and with a large risk of losing access to the files, as well as no way to access these files easily when out of the office. The client had recently moved their Exchange from on-premises to Exchange Online and so their first thought was to bring their files onto OneDrive and SharePoint. At this stage, Ballard Chalmers were engaged to offer consultancy. The initial engagement allowed us to review the existing structure of the folders and suggest how SharePoint and OneDrive could be used. It was quickly agreed that a landing page would be wanted as a place to get to where people needed to go, with the structure of sites matching the high-level structure of the file shares. There would be a site for each of the departments, one for each client and then each client project would be a sub-site of the client – there are plenty of people who don’t like subsites in SharePoint but it works well at one level in these situations, at least until the release of SharePoint Hub Sites. An initial idea of the structure for each of these sites was set up and also a basic theme to utilise the corporate colours and font. With SharePoint Online, we recommend not to customise the site to a large degree so that it would continue to work as Microsoft makes updates, but incorporate brand identity elements such as the logo, colours and fonts to ensure that it felt familiar. The other key item needed was an external facing area where files could be shared with their clients to in order to collaborate. Create client sites – use PowerShell scripts with PnP PowerShell to create all the sites. Revision to theme – agree full details of how the sites should look. Implement Excel file – create a file to map the current list of folders (extracted with PowerShell) to which sites they should go to and using the SharePoint Migration Tool to do the actual migration, as well as any further incremental updates. Create scripts – create PowerShell scripts that validate the files have been migrated correctly. Assist with migration queries and consult on ongoing governance. Implement site creation process – use scripts to ensure new sites maintain the same structure and theme. The engagement included discussions with the client’s consultants about how they would like to work, what the common structure for their clients and projects should be, and how to treat folders that did not currently meet that structure. This helped structure the Excel file for the migration and the mapping for testing that the files moved to the correct place using the SharePoint Migration Tool. The initial scripts ran so that the consultants could review the files and request some minor changes (e.g. removing the unnecessary links from the left-hand navigation menu) before running incremental updates over the Christmas period when the office was closed. There were some ongoing changes needed to move files to different areas and checking of any missing files was run through independent validation scripts that were developed. A training session took place in early January at the client’s offices and was recorded and uploaded to Microsoft Stream for others who could not attend and future reference. OneDrive Sync was installed so that staff could continue to use their File Explorer views to some degree and reduce the amount of change they were hit with in one go. There were some early problems with files not mapping to the correct areas which required manual intervention and helped to fine-tune the validation scripts. Clients of the company also received a benefit as an external site was set up for each of them, allowing files to be shared in one place and introducing consistency of versioning – a much improved experience compared with checking through many old mails for the correct version.